HDMI Cable 2M V1.4 High Speed With Ethernet Gold Plated Plugs - Short HDMI Cables, Hdmi Cables Same Day Dispatch On Our Leads If You Order Before 2pm Weekdays. Version 1.4 high speed with ethernet HDMI lead. This hdmi cable is 2m long. V1.4 The latest version of HDMI technology. Backwards compatible with all HDMI versions. 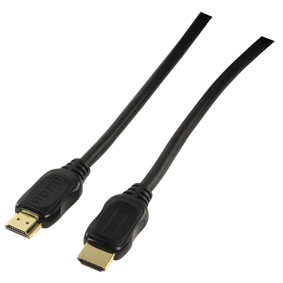 These HDMI cables are ideal for SKY HD, Blu Ray Xbox etc. Currently viewing: HDMI Cable 2M V1.4 High Speed With Ethernet Gold Plated Plugs - Short HDMI Cables, Hdmi Cables Same Day Dispatch On Our Leads If You Order Before 2pm Weekdays.